I have recently had the privilege of precepting a nursing student for the past several weeks. I learned that she had suffered a miscarriage in the past and has made blankets to give to others who experience such a loss. I never realized how many couples experience loss whether it be miscarriage, stillbirth, infant death, etc. I think these types of losses are more common than we may think but many people don't speak about their experiences. 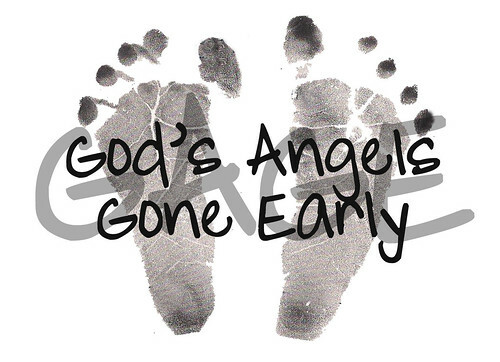 I personally have suffered two miscarriages prior to losing Gage. I am grateful that I have been able to share my story and have heard the story of so many others. Helping others and knowing that other people have had similar experiences has helped me in my healing process. My nursing student wanted to help our organization and donated a bag full of preemie blankets to be added to our kits. I am so grateful for her kindness! I look forward to making and donating more kits to families. Remember any donation big or small can help us make a big difference.